Coconut Rose 3 wick handwoven candle 21oz. 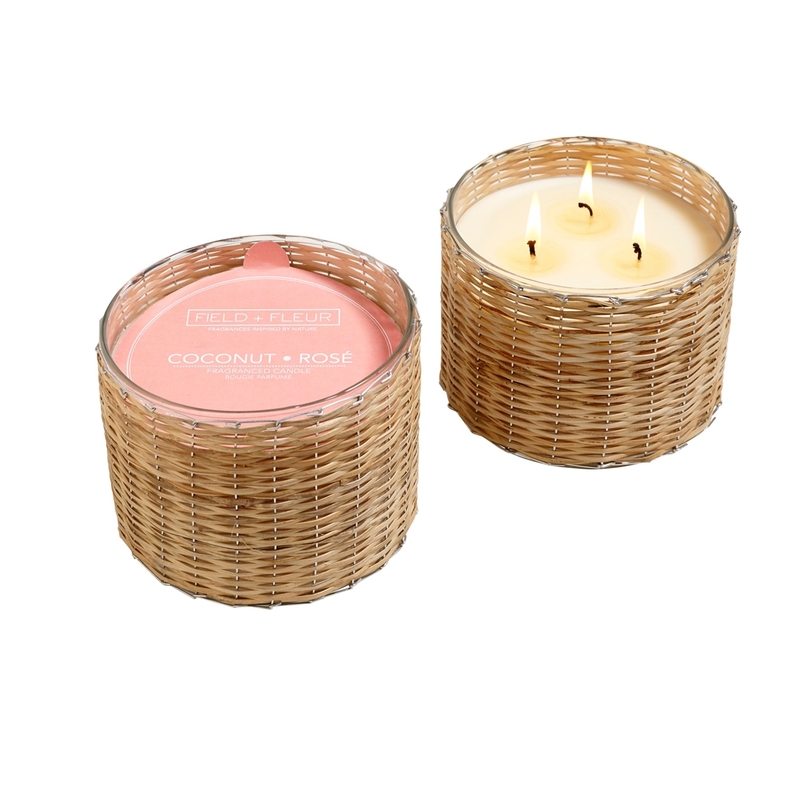 Coconut Rose 2 wick handwoven candle 12oz. Coconut Rose diffuser 6oz. Coconut Rose 2 wick candle in white glass 12oz. Coconut Rose fragrance mist 4oz.